How to rollerblade with teacher GENJI & Fujii. Starting off with just getting from one side of the room to the other, all the way up to doing stunts. 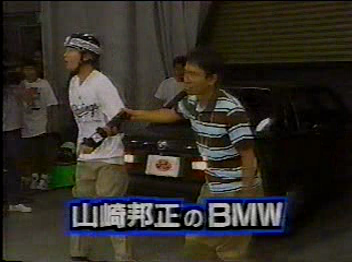 Also Downtown surprise Yamazaki by bringing out his BMW car for the rookie rollerbladers to jump over. Alternative Quality File for just the BMW Car segment. The cast play a volleyball-style keepy-uppy game using their hands, but the ball has thumbtacks all over it which gradually increases. I believe clips from this are in the Highlight Omnibus episodes. 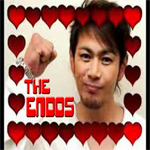 Last edited by soudou on 09.10.2014, 14:32, edited 1 time in total. No problem, you're welcome, glad you enjoyed! Haha yeah, love how Matsumoto kept winding him up about damaging the car. Yeah I was really happy to find this series on Clubbox, couldn't find it anywhere else (sad that some segments & episodes aren't even on Clubbox though). They were obviously heavily into experimenting a lot back then with the variety show format and did a lot of crazy stuff, it's pretty fun to watch! It's an excellent show. Kind of variety late-night show with many of Yoshimoto comedians. Pretty funny. Yama-chan was too worry about his car Looks like was a new one. Anyway, I really enjoy every video that you upload, so thx!! !